Tickets must be purchased by 11:59 pm Eastern time on Oct. 10, 2016, for domestic travel Tuesdays, Wednesdays, and Thursdays, Oct. 18, 2016 through Mar 1, 2017. The following blackout dates apply: Nov. 22-23, 25-29 and Dec. 16, 2016-Jan. 4, 2017. Fares are one way and do not require roundtrip purchase. The 40% discount applies to base fare only, not to fees or taxes, and requires purchase at FlyFrontier.com using promo code SAVE40. All fare rules will apply. Certain flights and/or days of travel may be unavailable. Tickets purchased at FlyFrontier.com or by calling Frontier’s reservations centers must be paid for at the time the reservation is made, you may request a full refund up to 24 hours after the time of purchase, if the purchase is made 7 days (168 hours) or more prior to your flight's departure. This ticket may be canceled and refunded at the My Trips section on FlyFrontier.com. 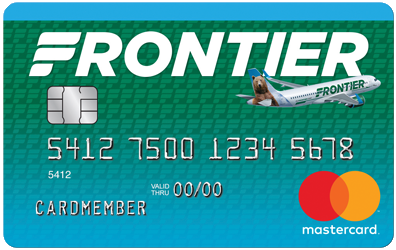 Additional travel services, such as baggage (www.flyfrontier.com/customer-service/travel-support/baggage) and advance seat assignments (www.flyfrontier.com/flight-info/seating-options) are available for purchase separately at an additional charge. Fares include all transportation fees, surcharges and taxes, and are subject to change without notice. Some markets do not offer daily service. Schedules are subject to change without notice. Flights are operated by Frontier Airlines. Other restrictions may apply.